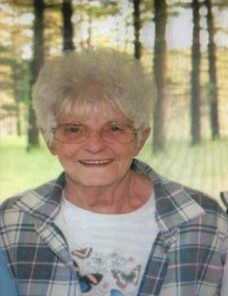 Mary Mae (Gossage) Teel, 77, of Fandon passed away at 3:05 a.m. Sunday, April 7, 2019 at Blessing Hospital in Quincy. She was born on May 28, 1941 in Browning, Illinois to Otto Eugene and Margaret Louise (Clemens) Gossage. She married Larry Tommy "Moe" Teel on September 30, 1962 in Rushville, Illinois. He passed away on January 12, 1998 after 36 years of marriage. She is also preceded in death by her parents; one sister, Wilma Gossage; one brother, Randy Gossage, two brothers in infancy, Larry and Richard Gossage; one sister in infancy, Betty Gossage and one grandson, Robert Konkler. Mary is survived by two sons, Larry (Linda) Teel of Plymouth, Illinois and Rick (Jennifer) Teel of Macomb, Illinois; one daughter, Sarah Konkler of Colchester, Illinois; grandchildren, Cody, Amanda, Krista, Wayne, Taylor, Tommy, Jessica, Jimmy, Dustin, Savannah, Kaitlynn and Karlyann; 13 great-grandchildren; four sisters, Norma Teel, Shirley Spencer, Helen (Randy Settles) Spencer and Hazel Kindhart; two brothers, Ott (Patti) Gossage and Danny Gossage and several nieces and nephews. She worked at Haeger Pottery in Macomb for 25+ years retiring in 2006. She also worked for several area restaurants including Industry, Littleton and Vermont. She enjoyed holidays and special events with her family, going to yard sales, flea markets and the scenic drive. She also enjoyed working on puzzles of all kinds and tending to her flowers. She loved bluebirds, hummingbirds and cardinals. Funeral services will be at 11 a.m. Thursday, April 11, 2019 at Clugston-Tibbitts Funeral Home in Macomb with Reverend A. Lee Unger officiating. Visitation will be held from 6 to 7:30 p.m. Wednesday, April 10, 2019 at the funeral home. Burial will be in Forest Lawn Memory Gardens in Macomb. Memorials may be made to Blessing Hospital Hospice Program.